Modern slim fit blazer yet not tight. Fully lined. Classic lapel in black silk satin and buttons covered with black satin. Light constructed shoulders with AMF stitch. Classic flap pockets. Built-in pocket square. Two vents on back. 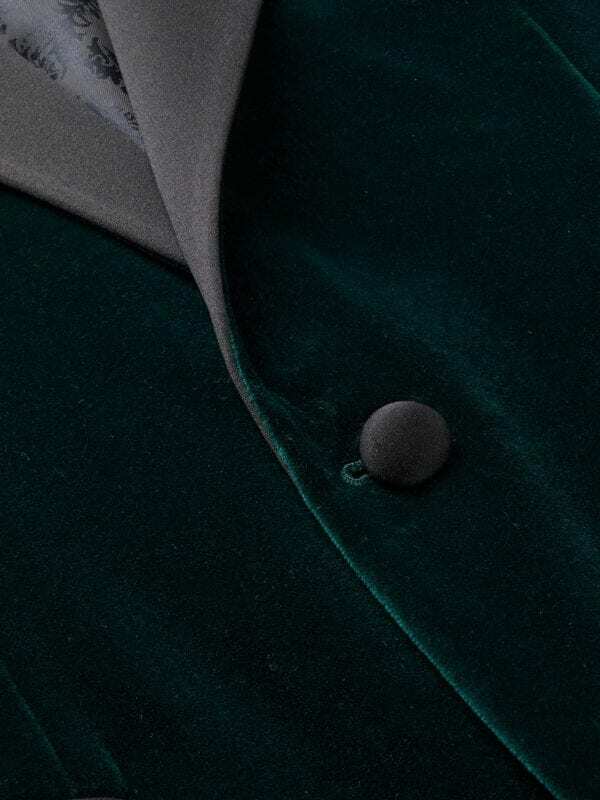 Made of a cotton-mix in luxurious Italian fabrics from the finest mills in the Biella area. 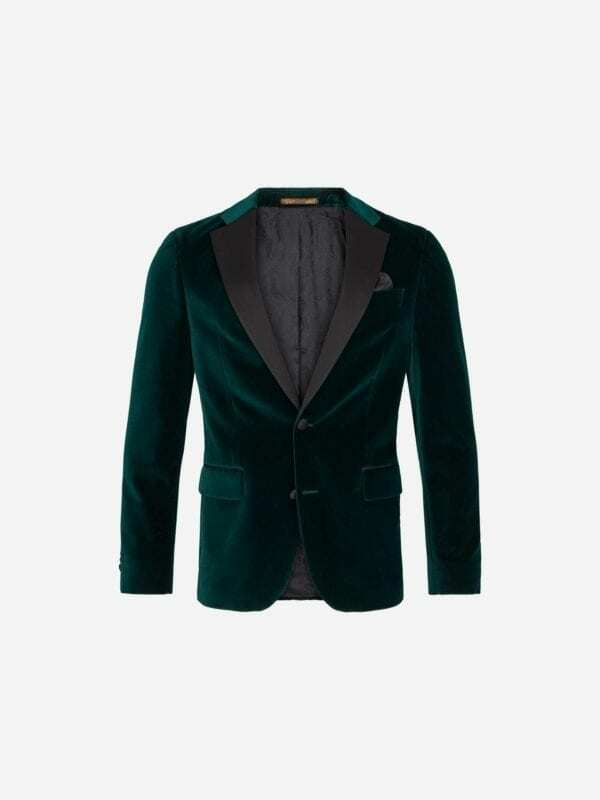 This blazer comes in a fine Italian velvet texture, very soft to the touch. Style it with a white tuxedo shirt and black dress pants for special occassions or a black t-shirt and jeans for a more casual yet contemporary look. Proudly manufactured in Europe.